The 1970 Chevelle featured even more restyling. Each head lamp was put in its own chrome housing and was no longer integrating into the grille. The body lines were less swept and a new integrated rear bumper was used. The body was similar, but some consider the 1970 Chevelle to be the best looking year of all. 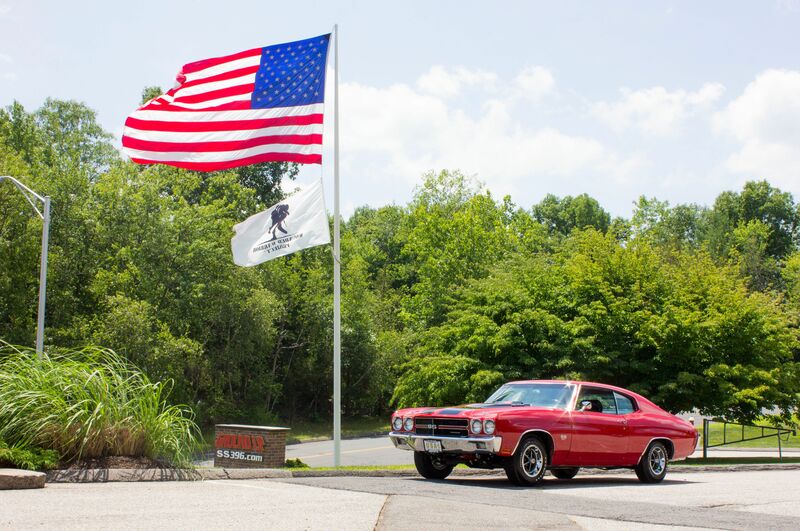 With the 454 cubic inch big block now available, the 1970 Chevelle symbolizes the height of the muscle car era. The 1970 Chevelle was available in several trim levels including the base Chevelle, Chevelle Malibu, Chevelle Concours Estate, Chevelle SS396, and new SS454. Each configuration could be ordered with a six cylinder (except SS) or V8 engine. Body style included 2 door sport coupes, 2 door sedans, 2 door convertibles, 4 door sedans, 2 door wagons, or 4 door wagons. Interiors could be optioned with either bucket seats or bench seats and were available in many colors. The most popular were Black, Bright Blue, Dark Metallic Green, Pearl, Red, Saddle, or Gold. The buyer could have ordered a number of different exterior colors including White, Cortez Silver, Shadow Gray, Tuxedo Black, Astro Turquoise Blue, Fathom Blue, Misty Turquoise, Green Mist, Forest Green, Gobi Beige, Champagne Gold, Autumn Gold, Desert Sand, Cranberry Red, and Black Cherry. To complement the wide variety of available colors were the available drive train combinations that could be opted for on the 1970 Chevelle. Base power was had by one of two available six cylinder. Buyers who wanted more power could opt for a V-8. Big block were in abundance with the regular availability of both 396 and 454 cubic inch engines. Manual transmissions were either 3 speeds or 4 speeds and automatic transmissions were either the 2 speed Powerglide or 3 speed Turbo Hydramatics. About 634,000 1970 Chevelles were produced.